Dr Mark S. Young is a Visiting Professor in the School of Engineering and Design at Brunel University, UK. He has a B.Sc. in Psychology and a Ph.D. in Cognitive Ergonomics, both from the University of Southampton. 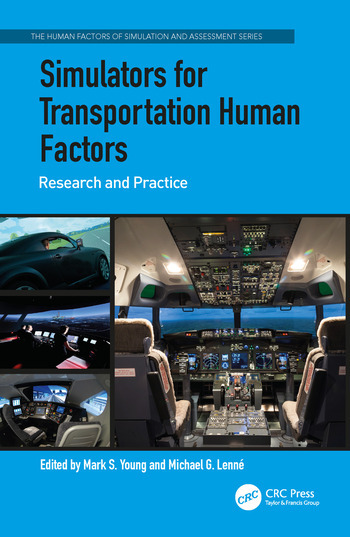 His research interests focus on the human factors of transport systems, particularly with advanced vehicle technologies and automation. He spent two years working in industry for the Rail Safety and Standards Board, applying his experience to research and regulations for the UK rail network. Before joining Brunel in October 2004, Mark was a Visiting Fellow in the Department of Aviation, University of New South Wales, Australia, working on a Royal Society fellowship, and he is also currently a Visiting Fellow at Curtin University in Perth, Australia. Mark is a Registered Member of the Institute of Ergonomics and Human Factors (IEHF), a Registered Practitioner of the Higher Education Academy, was Chair of the IEHF’s PR & Communications Committee from 2007-2011, and sits on the vehicle design working group for the Parliamentary Advisory Council for Transport Safety (PACTS). He also jointly received the 2006 Hodgson Prize and Bronze Award from the Royal Aeronautical Society for co-authorship of a paper in The Aeronautical Journal, and was awarded the Isambard Kingdom Brunel Award Lecture for the 2010 British Science Festival. Dr Mike Lenné is an Adjunct Professor (Research) at the Monash University Accident Research Centre (MUARC). He was awarded a PhD in Experimental Psychology from Monash University in 1998 and has spent the last 18 years working in human factors roles in both government and University settings. Until late 2014 Mike was a Professor at MUARC where he led the Human Factors research team for nearly eight years. His research used driving simulators and instrumented vehicles to study the impacts of in-vehicle technologies on driver behaviour and to measure driver responses to distraction, drowsiness and other forms of impairment. He is currently Chief Scientific Officer, Human Factors at Seeing Machines where his research is centred on characterising and validating metrics for driver state assessments in automotive, heavy vehicle and aviation sectors.